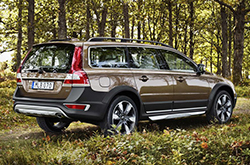 The all-new 2016 Volvo XC70 was created for adventure. 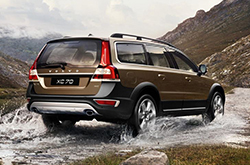 Whether your definition of adventure is an off-road experience or a raucous night on the town, the efficient, powerful and safe XC70 is ready to provide you with the perfect luxury wagon for all of life's amusements. And, with the ample space and smooth ride, the Volvo XC70 blends the easy handling of a car with the accessible capacity of an SUV. Test drive a 2016 Volvo XC70 in Plano today and discover that when it comes to safety and excitement, you can have your cake and eat it, too. The standard 2.0-liter four-cylinder engine offers impressive values of 245 horsepower and 258 lb-ft of torque, power that is not found in most rivals. Dallas-area commuters can use the all-wheel-drive system and an efficient eight-cylinder automatic transmission with optional paddle shifters to maximize sport and utility. Plus, 2016 Volvo XC70 reviews talk about the impressive fuel efficiency of the XC70, which is largely due to the Drive-E engine and smart efficiency technology. When it comes to safety, the Intellisafe program's technologies will detect and automatically brake when a collision seems imminent. Additionally, the smart road sign technology and active high beam control can make operating the Additionally, whether you wish to pay for parking from the car, discover nearby restaurants, discern your car's location via a Smartphone app or pre-cool your vehicle, the XC70 offers the latest technology to carry out daily activities quickly and conveniently. Now with Volvo Sensus Connect, the world of information is available in the refreshed center interface in the XC70. Furthermore, Bluetooth connectivity guarantees that drivers can communicate with the outside world without ever taking their eyes off the road. Another premier technological feature, Volvo On Call ensures that drivers can use a mobile application to communicate with their car directly. In addition to incredible safety and technological features, the 2016 Volvo XC70 in Plano also comes standard with folding rear seats, load securing loops, off-road skid plates and additional premium standard features. Because of its perfect blend of utility, agility, innovation and security, the 2016 XC70 is ready for all of life's enterprises, big or small. Try out an XC70 today at Crest Volvo Cars and discover why 2016 Volvo XC70 reviews call it a top choice in the wagon segment. The 2016 Mercedes Benz GLK, Ford Flex, Lexus RX 350 and the Audi Q5 are no match for the 2016 XC70! 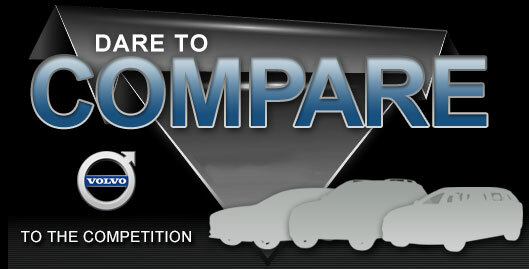 Just compare Volvo's newest model against them and you'll see that it out does the competition easily. 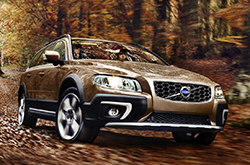 TX shoppers will appreciate the XC70's passenger-oriented features and bargain MSRP. Compare its price against the aforementioned vehicles and you'll easily see that it's a spectacular value, which makes it a top choice for many Plano Volvo customers. Find out more information in our bullet list under this text! Welcome to the Crest Volvo Cars review of the new XC70. After reading our overview above, if you decide the XC70 isn't the perfect vehicle for your commuting needs, please check out other 2016 Volvo reviews in our research gallery. With the help of skilled automotive writers, we have published some of the best reviews about Volvo's models that you'll find online. The above article is crammed with valuable data - it contains info about mpg and other specs so that you can make sound decisions about the Volvo you want to buy. Now that you've learned all about the 2016 XC70, we'd love to talk; phone us today to learn about current lease offers and schedule a test drive!